The Praga district, located on the right bank of the Vistula River is one of the smallest in size but the most problematic in terms of life quality areas of the Warsaw. Being the part of the oldest and most densely populated core of the city it has been labeled as the poorest, less developed, most dangerous but same time the most genuine. Since second half of the 19th century its spaces have been shaped by peripheric role to the prominent left river bank districts. One can still find here traditional quarters of the tenement houses, smaller and larger factories and other elements of the multicultural and at the same time industrial past. The district history till 1989 was very much linked to the production and industry. Since the collapse of the communism liberal economy forces started to reshape city structure. 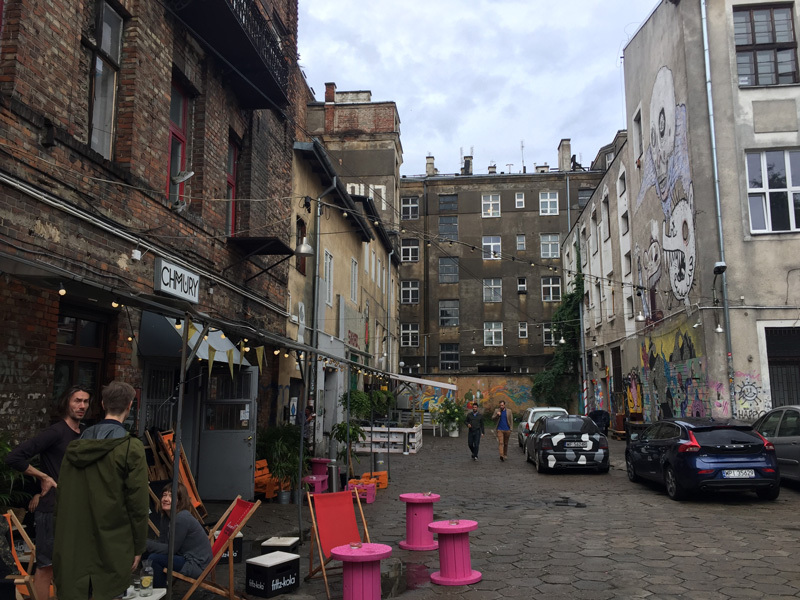 For many years of the transformation the oldest parts of the Praga district were left aside keeping the status of the urban reserve of “old-time Warsaw”. The last years brought new investments to the district public as well as private. The next ones are to come. Having heavily stigmatized image, today it is an area with social deprivation and, at the same time, the scene of an interesting cultural revival which feeds on its specific status and identity. However the heritage identity have been often exploited as a branding tool rather than seen as an important value for the local community. Praga District today is the target of the large-scale urban rehabilitation scheme of the city of Warsaw as well as several grass-roots and top-down activities and projects. To map, connect and empower all the actors interested in protecting heritage values and developing contemporary ones for the benefits of the local economic development. Creation and testing tools and models that will aim to empower members of the local community and NGOs in the redevelopment processes. To evoke consciousness of the special architectural and social heritage of the area, encourage economic activities based on the existing built and human capital (stores and craftsmanship). Beside the new activities to help the already existing ones to overcome the bottlenecks and institutional barriers to be rooted in Praga and to empower its heritage. Economy: Many municipally owned buildings and flats are in a bad state, often empty. Social: High rate of unemployment, social problems, over-dependence on social care and illegal economic activities. Architecture: Unprofessional redevelopment and regeneration of several historic buildings, risk of degrading the heritage values. Society and culture: Potential social clash between the native inhabitants of Praga and the newcomers attracted by the affordable and well-connected neighborhood.